In May of 2005, Beth Holloway received the worst phone call a parent can imagine. Her beautiful daughter, Natalee, had vanished without a trace in Aruba during her high school senior class trip. Four years later, Beth Holloway steps forward to tell the story of her daughter's disappearance and her own harrowing ordeal and her never-ending belief in the power of faith that gave her hope against all odds. When Natalee went missing, her photograph was splashed across newspaper front pages and television screens from coast to coast. Desperate for clues to the whereabouts of the lost eighteen-year-old, Beth searched relentlessly with the help of a dedicated army of volunteers, encountering roadblocks, obstacles, and misinformation at every step and unbearable questions that had no answers. The very first sentence of this book is "I'm the parent who got the dreaded call".This is in the preface.I was crying before the end of the first page. 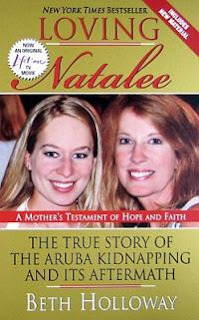 "I will forever be Natalee's Mom".When I first ordered this book I checked out the reviews and there is a very strongly worded negative review chastising Beth Holloway's views on the conduct of the Aruba government during the investigation.I just have one question for you,have you read this book?Why would Beth Holloway lie about this,especially as she lives in eternal hope of finding her daughter still one day?Why would she tell lies and risk alienating the Aruban forces who fought to retain all investigative rights?Let me answer you,because they were alienated from the beginning,because she is telling this story with the total truth as a way of bringing sense into her daughter's disappearance,as a way to help other parents avoid the same thing happening to their children.And for my readers who have no idea what I am ranting about let me give you just one piece of her many disastrous experiences whilst dealing with the Aruban authorities. Beth Holloway flies immediately to Aruba upon receiving the news that Natalee had not made it to the plane.When she gets there she tries endlessly to have Natalee reported missing.She eventually gets to an official and is sitting in his office ready to give her statement of everything she knows thus far.This is the answer she gets from Detective Jacobs.He says"I'll have to eat my frosted flakes first,"and then,running a hand across his jaw,adds "and get a shave before I can deal with you. ".They wait 2 hours and she eventually ends up outside sitting on the pavement where the police chief comes and tells her angrily "You can't sit in the gravel like this.Come back inside".This books is filled with many more situations like this where she is treated with disdain.I am convinced that she was treated this way because she is American.I will tell you this,(agreeing with Dr Phil),Aruba will never see me or my tourist dollars EVER! I do realise that I always seem to enter emotions into my reviews but that is just me.I am first and foremost,the mother of a daughter so needless to say this story is really close to my heart.I was appalled at the way this mother was treated,crazed that they would think that treating her like this would make her give up on her daughter,that they would be so naive as to try and dismiss a mother's maternal instinct. Beth Holloway's book is so raw with emotion I could not help but be carried by it.Her words are not angry,simply stating facts as they happened.I am the one who got angry.Here is a bit of her writing to prove to you how well she tries to explain her feelings and what she was going through.This is towards the end where she is explaining where she is right now mentally. "I can take the bullets to the gut and hold them now,keep them from exploding like little pellets all over my body.And release them on my time.When I'm ready." This book is absolutely brilliant.An amazing story of a mother's love for her child,an absolutely raw account of the most dreaded journey any parent could take,with writing guaranteed to take any reader on the same journey with her.Fortunately we get to put the book down and move on.Beth Holloway will be living with this her entire life. I have starting rating my books with a star rating system.I cannot use this rating system with this book.That would be classifying it as any other book.I will not do that to Beth Holloway.What I will say is thank you to Beth Holloway for sharing her story with me.I am in awe of you.To my readers,please read this book.She has excellent words of advice on how to avoid this with our own children. I read this book in June 2009 and I kept referring back to the front cover so I could look at the photos of Beth and Natalee Holloway.Natalee looked just like her mother and after being raised for 18 years by this strong woman,all I can say is what a tragic end to a life that was so promising! Thanks Missy.This is an excellent book.Get is as soon as possible. After reading your review, I am definately putting this on my list :) Thank you!! Hi Yvette, what a suprise your comment was! A nice one! I would love to read this one. Thank you so much. A copy of this book has been awarded to Sharon for being the top commenter for May 2009.Congratulations Sharon and I appreciate all the lovely comments!! OMG Yvette, I'm going through your reviews of some of the books you've recommended and I just know I'm going to be blaming you for Mt TBR reaching avalanche status. I have to read this one, and I can already see why you would become emotionally involved. Oh Teddyree,2 months later and this book is still so close to my heart.I would recommend it to any mother.After reading it,I realised how so many of the arguments I have with my teenager are actually trivial.It gave me a much needed reality check!!! I was watching something about this the other day on that True Hollywood Story (THS) channel. And the guy that murdered her was in the car talking with another guy and it was videotaped and the way he was talking about it just made your jaw drop. 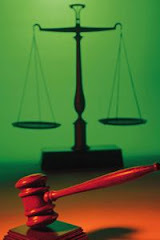 He did not care at all that he had murdered Natalee and was explaining how he did it. It was disgusting!